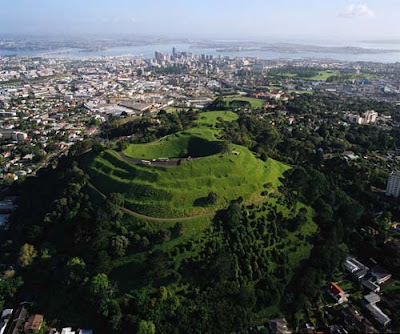 It was early morning when we started our trip up to Mount Eden this day. It was in the middle of February, and in this part of the year, it was summer in New Zealand. I, Christine, Fanny and Margrete was on our trip around in New Zealand. 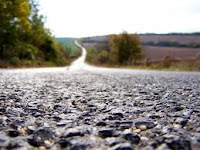 We had seen much of the country, but we had a little bit again. One of the last stop we had, was in Auckland City. 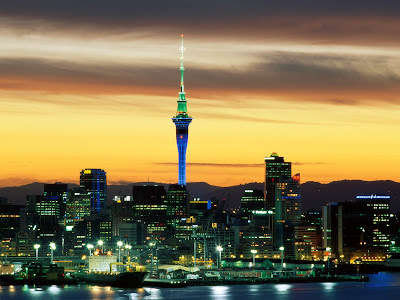 Auckland City is New Zealand’s largest city with a population of 450.000. We had decided in advance that we should visit Mount Eden who is a volcano in Auckland City. It is a volcano who lays 196 meters above the sea level. The morning we started our trip up to Mount Eden, had already the sun stand up. It was only some skies we could see up there, beside the sunbeams that warmed our bodies in the moist temperature. It wasn’t cold, but maybe around 18 degrees in the air. We used around one and a half hour to get us up to the top of Mount Eden. It was a little bit chillier. But it was no problem, because we had warmer clothes with us. After we had got back the warm again, we concentrated us about the atmosphere and the nature that lay around us. The ground was covered with lush, green grass. 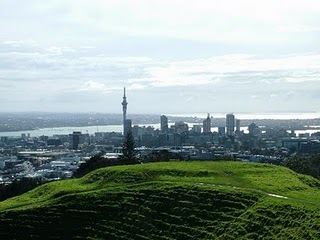 We could see Auckland City that lay around us, and we had a great view beyond the City. The nature on Mount Eden was a kind of special. It wasn’t much trees and bushes around on the top, but a few trees, bushes and flowers could we see further down towards the city. It was a special experience to stand on the top of a volcano that lay so close to the City. 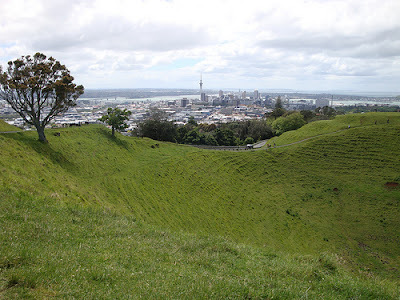 The nature and atmosphere that Mount Eden had, can you not see every day! It was a great trip with the girls! We are still shaking, literally. We woke up today feeling great, but we didn’t know how the day was going to end. At 7 am the telephone rang. We had a full program, so if we were going to make it we needed to hurry up! At 8 am everybody was ready to go and the taxi drove us to the Hokianga Harbour, Northland, New Zealand. 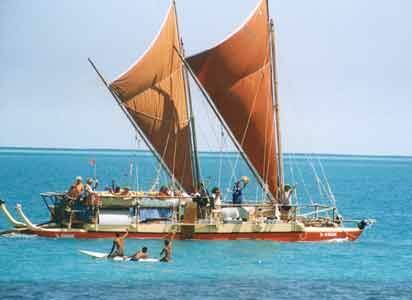 When we decided to visit New Zealand both friends and tourist operators recommended us to order an organized powhiri. A powhiri is a traditional Mãori welcoming and challenge. We were all looking forward to this and the excitement was big on the one hour drive to Hokianga Harbour. We sang many songs and Caroline entertained us with some of her less good jokes. It made it a lot easier because it was a bumpy ride. But even though the entertainment was top, I was the lucky one to throw up. I can honestly say that it has been a long time since the sight of a mountain top has cheered me that much. After the traditional welcoming with the challenge and all we went inside a house that had the whole inside covered by wood art. We had a wonderful time. 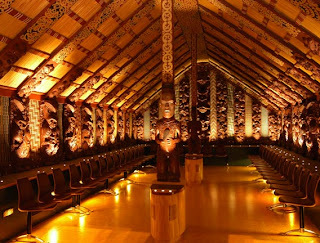 The Maoris told us a lot about their culture, and they seemed like very nice people. After songs, tales it was time to eat. While we were sitting on the ground the ground suddenly started to shake. In the start we didn’t notice and continue on our meal. But we discovered pretty fast that the shaking was not caused of someone losing their plates. It was a real earthquake! The Mãoris started running around, placing all of their belongings on the ground. It was clear that this was a situation they had gone through before. It felt quite chaotic at the time when it all happened but when we look back on the situation we could see that they had a pretty good control over it. I had taken a lot of pictures, but unfortunately my camera got lost under the earthquake. So to your satisfaction you only get pictures taken from Google. 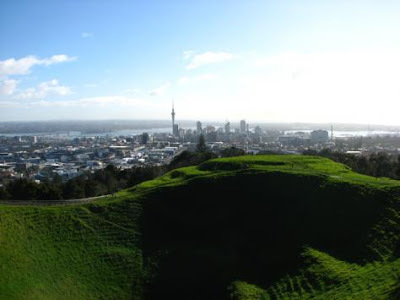 Mount Eden is the highest point in Auckland city. It’s a volcano (cinder cone) and reaches 196 meters above sea level. Many tourists, both walking and biking, achieve the top to enjoy the amazing view over the big city. 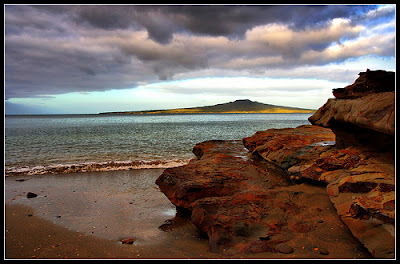 Rangitoto Island is a small volcanic island near the coast of Auckland city. The Island is only 5.5 km wide, and got unique plant species and an extraordinary forest. Rangitoto means in the Maori-language: “Bloody Sky”. 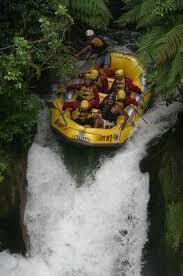 The name comes from the time when different Maori tribes fought against each other on the Island. The leader of one of the tribes was badly hurt, and therefore the name. 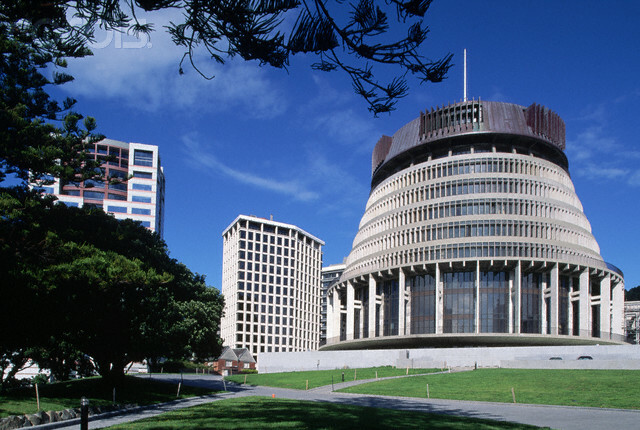 The Beehive building, also known as the New Zealand parliament building, is located in the capitol Wellington. The building got ten floors, and is formed as a beehive. 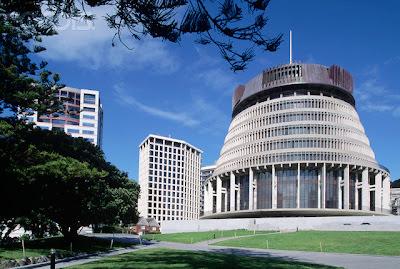 New Zealand’s prime minister has got his office in the building, designed by a Scottish architect. The Elephant Rocks are located on the South Island. 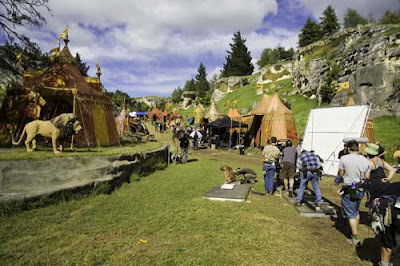 The astonishing rocks became world famous after Andrew Adamson directed the Narnia movie there, in 2005. As we remember from the movie, The Elephant Rocks are filmed as the king Aslan’s camp (picture underneath). The shapes of the stones look like elephants, and that’s where the name comes from. Auckland city is on the North Island of New Zealand. It’s the biggest and most populated city in the country. In this beautiful town there are many things to do and see. The Goat Island is a little area on the coast of a small town named Leigh. The Marine Reserve is famous for its scientific research and its diving possibilities among friendly fishes. The Auckland Harbour Bridge is over 1 km long, and it’s the second longest road bridge in New Zealand. Many climbers and bungy-jumpers use the facilities of the bridge, especially at the night-time, when you can see the whole town from another perspective. This miraculous Sky Tower lies in the middle of Auckland city. With its 328 meters, it’s the highest man-made building in New Zealand, and the 12th highest tower in the world. In the top of the tower you can look over 80 km in every direction. The tower is a part of a hotel and a casino, where tourists can enjoy themselves. 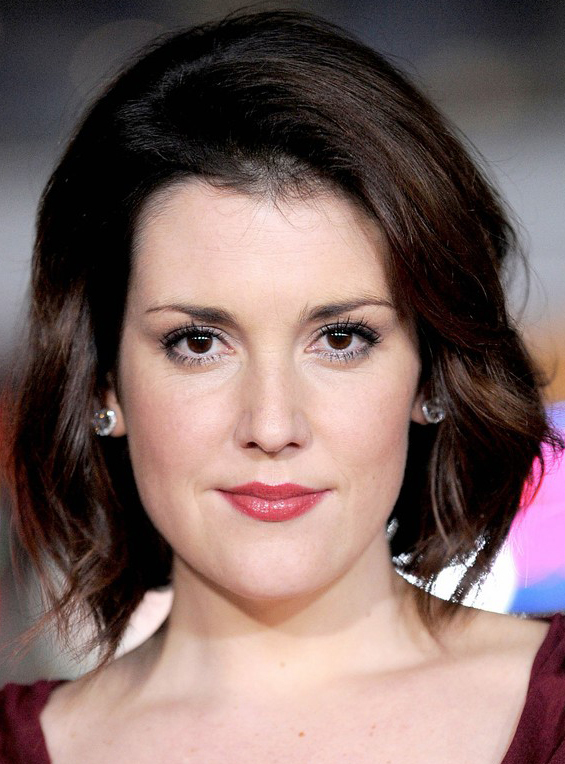 Melanie Jayne Lynskey is an actress from New Zealand. She was born in the major city of the Taranaki Region, called New Plymouth at May 16th, 1977. She grew up with her parents and four siblings. Today she is married to the actor Jimmi Spimpson. They met at the set to “Rose bed”, and got engaged in 2005. The wedding took place in a vineyard on Lake Hayes, near Queenstown, New Zealand. Melanie graduated from the New Plymouth Girls High School, before she started to study English literature at Victoria University in Wellington, New Zealand. When she was young, she was already discovered by the famous film producer Peter Jackson’s wife. At the age of 17, Melanie got her breakthrough in the film Heavenly Creatures. Her performance was described as perfect and fearless, and she won the Best Actress award at the New Zealand Film and TV Awards for her role in the film. After the great start of her career it was tough for Melanie when the jobs absented. Although she didn’t get the leading roles, she participated in many series and films starring Drew Barrymore, Kate Winslet, Katie Holmes and Reese Witherspoon, to name a few. In 2003 she finally got a huge role. One of America’s favorite television shows “Two and a half men” hired her to the role as Rose. 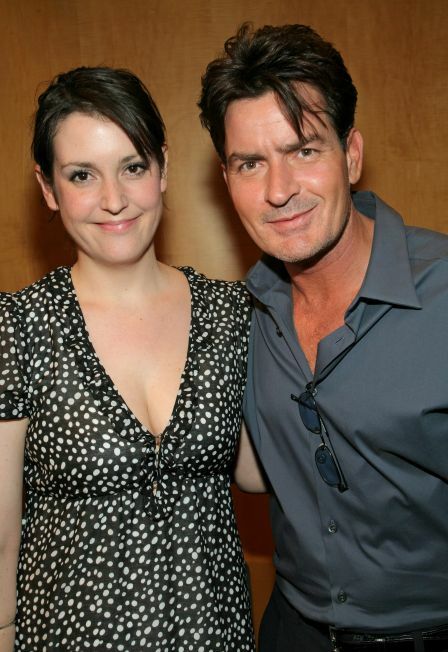 Rose is the stalking neighbor to Charlie Harper (Charlie Sheen). She is madly in love with him, and she often appears on their porch for a nice chat or cuddling. The national sport in New Zealand is the rough and tumble game rugby. For the people living in New Zealand rugby is not only a sport, it is also an important part of their culture. Rugby is a very harsh sport and injuries occur frequently. There are two teams playing against each other, 15 players on each team. The main goal is to get as many points as possible by carrying, passing, kicking and grounding the ball over the opponent’s line. The first rugby match played in New Zealand, took place in Nelson in May 1870. Since then the game has spread throughout the whole country and today New Zealand is the leading country when it comes to rugby. The national team is called The All Blacks and it is ranked as the number 1 rugby team in the whole world! The colors on the jerseys are not the colors of the flag, which other national teams prefer. The All Blacks jerseys are black, embroidered with a poppy on their jersey sleeve when playing. The poppy symbolize the soldiers who died in the battlefields of Europe.